It rained part of every day but one this week. But it was showers, not a complete northwest blowout like last week. 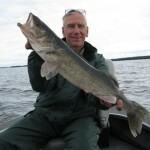 Walleye volume was up, but it was not as good as a normal July week at SWWL. 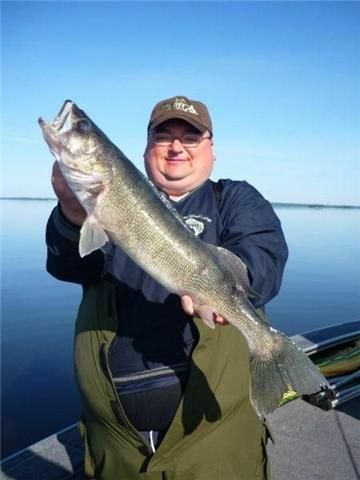 The walleyes are still scattered and temperamental, but we managed to put together good numbers for big fish, despite a challenging bite. It’s all relative; the weather, the bite, the numbers of big fish. What we consider OK, most consider great. But what is not open for debate by anyone is that this is by far the coldest summer in recent history. Main lake surface temps are still barely above 60 degrees. I have talked about the “extreme” weather fluctuations that we have experienced in NW Ontario in recent summers, but even with the effort of making sure of keeping things in perspective, this is the “most extreme” season that I have seen in my guiding career. 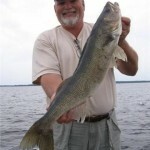 For the week, we had 24 walleyes over 27 in., including 4 – 28s, and 2-29s. 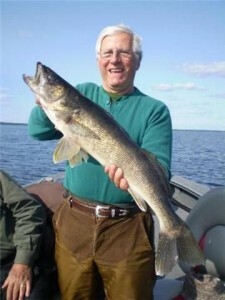 Guide sheets averaged 25 walleyes over 18 in. per boat per day and the highest daily total was 57. The most important point to note was the extreme variation in depths that produced both numbers and size for walleyes this week. 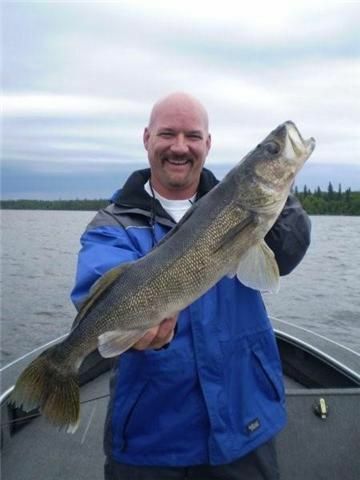 The majority of big walleyes were caught from 25 – 35 ft., but there were still a significant number that were caught between 12 – 20ft. Main lake Mega sand structures produced well, but there was also limited success on deep water rock. As the week progressed, we found more and more walleyes shallow and the deeper water bite became more and more difficult. By that I mean, that we caught and marked fewer fish down deep and that there was also a significant difference in how aggressive the bite was between shallow and deep. 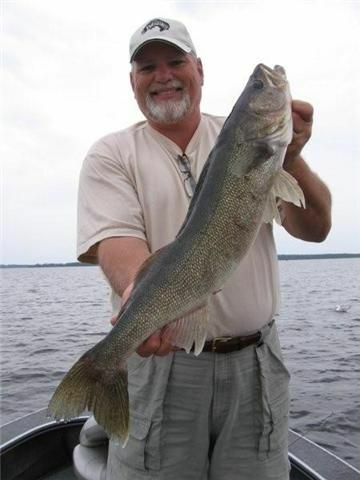 Aggressive presentations like big jigs and plastics didn’t work on the shallow water fish, but those walleyes in 12 – 20ft. were still more ready to bite than most of the deep water fish. 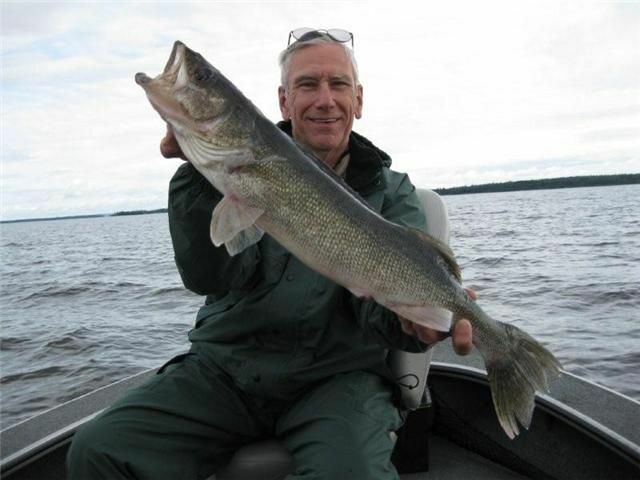 It would be incorrect to list one presentation as better for walleyes than another this week as there were just as many fish caught on 3/8 oz. jigs and minnows in deep water as there were caught on ¼-1/8 oz. jigs in shallow. The bite was always sporadic and the only way to “win” every day was to fish it all. MW: “That is a whitefish. 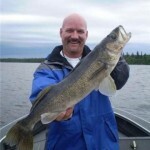 We sometimes catch them in May or early June while walleye fishing when the water is cold.” So, even when you are trying to keep things in perspective, that makes this a very weird year!